Home Health Software - Transitioning into a new EMR (electronic medical records) system can be a frightening and intimidating process for many agencies. Without proper planning, the process can indeed turn somewhat chaotic and cause more problems than it was intended to solve. We at MyHomecareBiz always make it our priority to ensure that this process of transition is as smooth and seamless as possible, so that your agency can focus on what matters most; patient care. 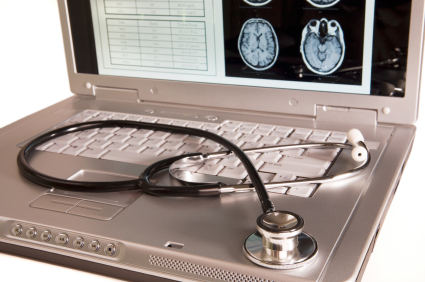 There are several different variables that ensure a successful EMR transition. Whether you are implementing a new system for the first time or just changing from one EMR service to a different one, following the steps outlined below should give you the maximum benefit of a functional EMR system. A good implementation should always be the least cumbersome for your agency’s staff. MyHomecareBiz has a full team dedicated to helping you achieve your implementation goals, as well as helping you follow the basic guidelines below. Choose a project manager. A project manager should be your agency’s main point of contact with the EMR company and delegate all responsibilities to the rest of the staff as needed. Typically with our implementations, the project manager works with us to establish a “road map” for the implementation. Typically the implementation can be achieved rather quickly, but agencies with complex needs can take a little more extensive planning. The project manager may also help with either training the staff themselves, or arranging free personal training sessions with our support staff. Additionally, the project manager should also provide updates during weekly staff meetings with regard to any changes in policies or procedures. Identify any potential risks or constraints before implementation. This is, in most cases, related to agencies switching from one EMR system to another. Migrating data from one system to another can be a confusing process if there has been no specific plan put into place beforehand. Luckily, we have a migration team available to make this process as hassle-free as possible if you are moving from a different EMR system to ours. Plan an effective training plan for all employees. This is a relatively simple step but can make a very large difference in the success of your implementation. Many agencies often make the mistake of implementing a new EMR system without actually having a training plan for the staff. This can often lead to chaos and confusion when the staff is only partially trained, which leads the EMR system to work against you, rather than for you. The hallmark of a successful implementation is having a solid plan. We at MyHomecareBiz believe in being proactive rather than reactive. By addressing potential issues before they arise, we continually roll out successful and seamless implementations for agencies all across the country on a monthly basis. Whether you are interested in pursuing a partnership with MyHomecareBiz or a different EMR company, you should always audit their support practices beforehand. Having the features your agency requires is important, but working with an EMR company that provides the kind of planning and support required to fully benefit from their product is equally important.